We are one of the widely acclaimed manufacturers, exporters, suppliers, importers, wholesalers and traders of Protective Cover for Petroleum Refinery. The offered protective cover is specially designed for providing protection against the possible mechanical damages to the pipelines. Our supplied protective cover is made from high grade raw materials, procured from very reliable vendors in the market. The wholesaled protective cover is easy to install and fix. 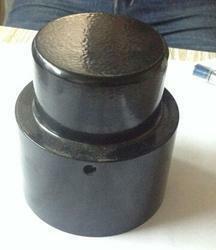 Looking for Protective Cover for Petroleum Refinery ?